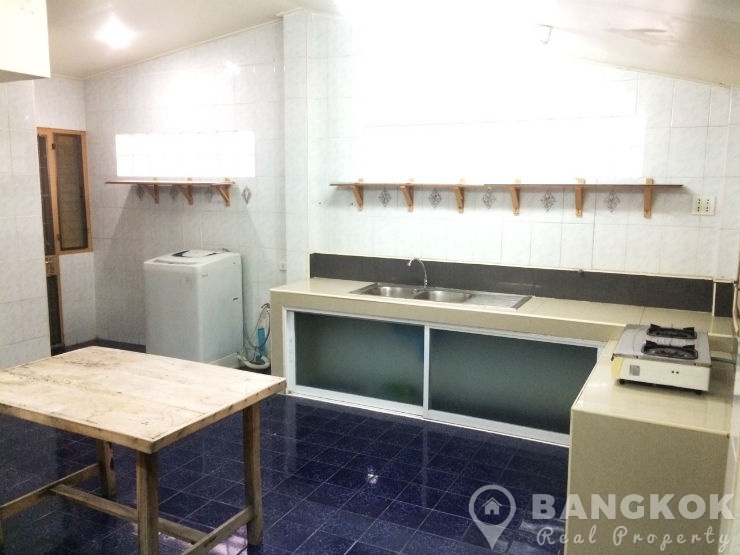 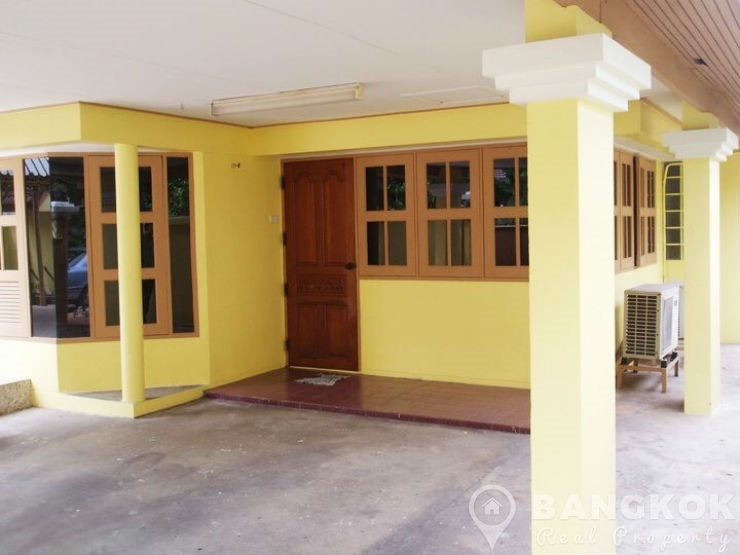 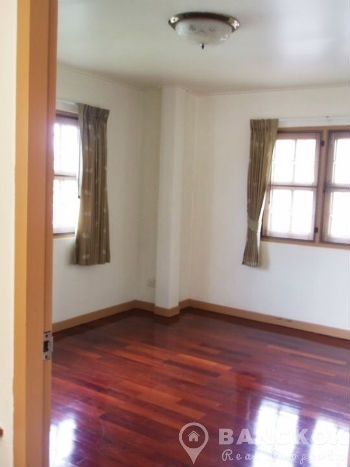 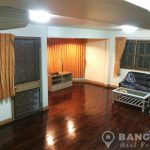 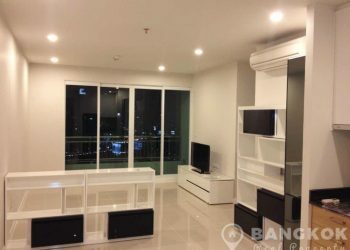 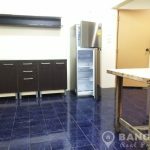 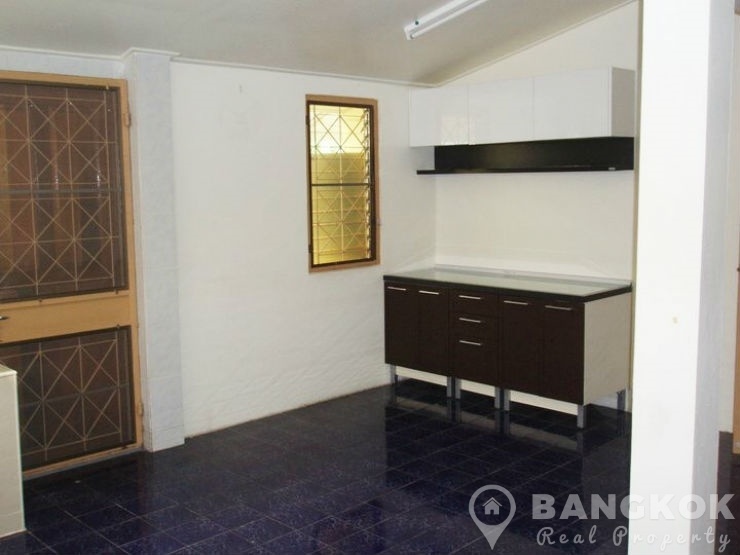 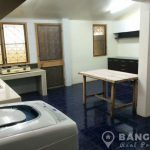 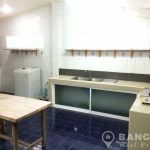 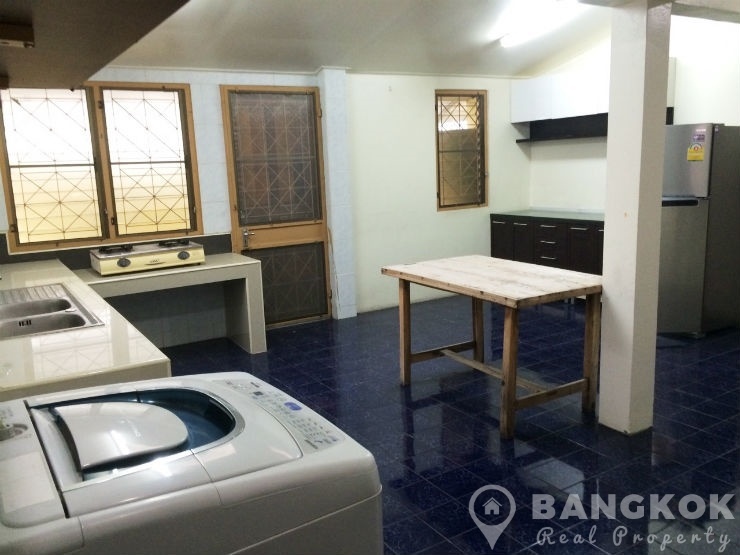 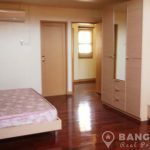 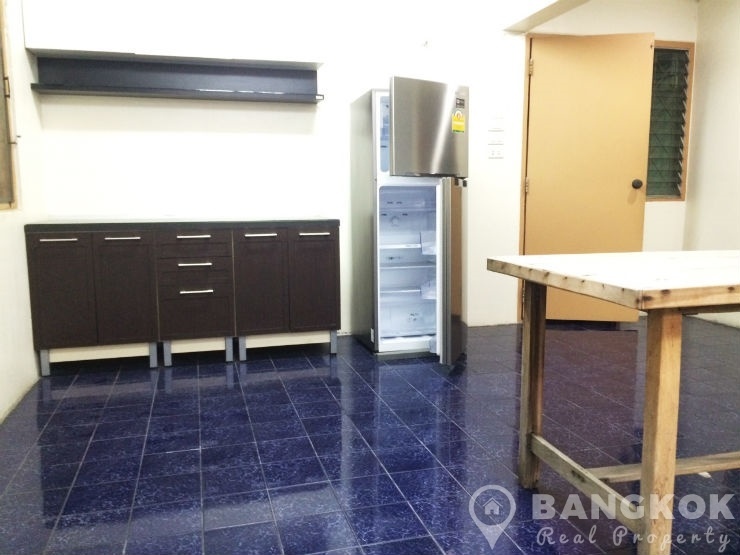 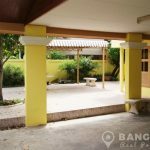 This spacious, detached 3 bedroom Sammakorn house is now available to rent located in the ever popular Sammakorn Village just off Ramkhamhaeng 112 road. 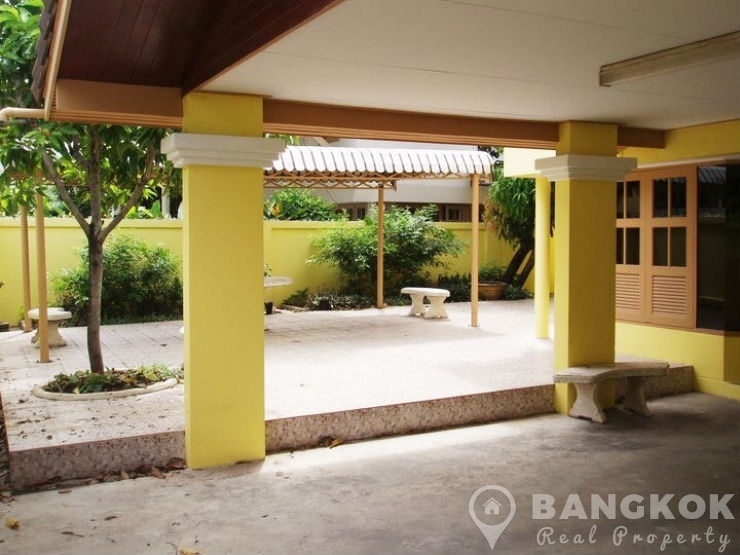 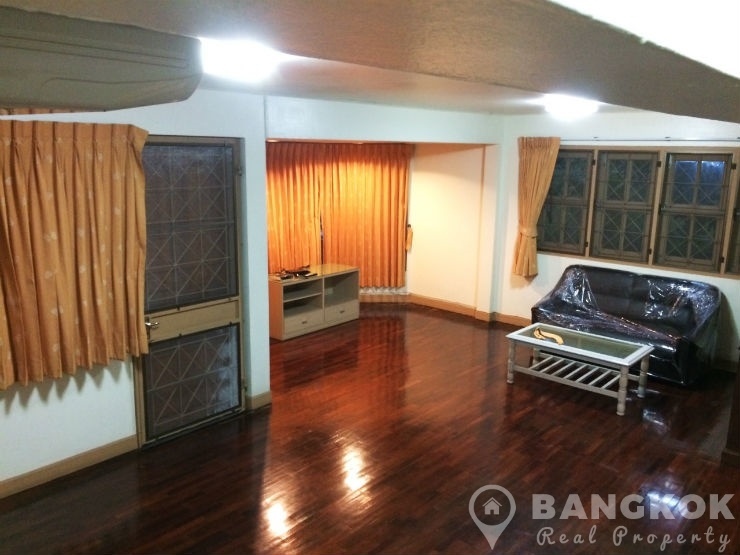 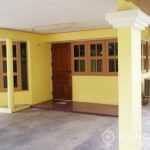 This house is ideally located within the Village offering residents easy access to a host of amenities, restaurants, shops, Golden Place, Pure Place Mall, the new Paseo Town Mall and easy access to great international schools such as Bromsgrove and RIS. 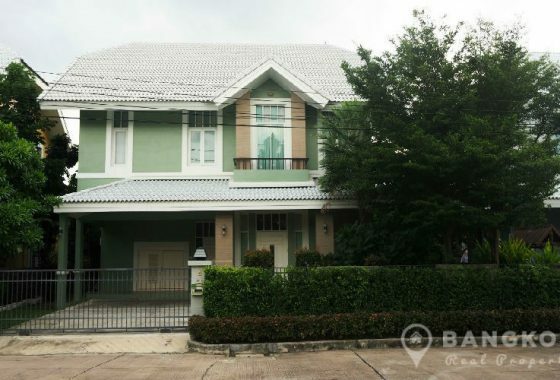 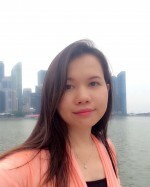 The village is only a short drive away from Ramkhamhaeng ARL (airport link) station and the outer ring expressway and easy access to Suvarnabhumi International Airport. 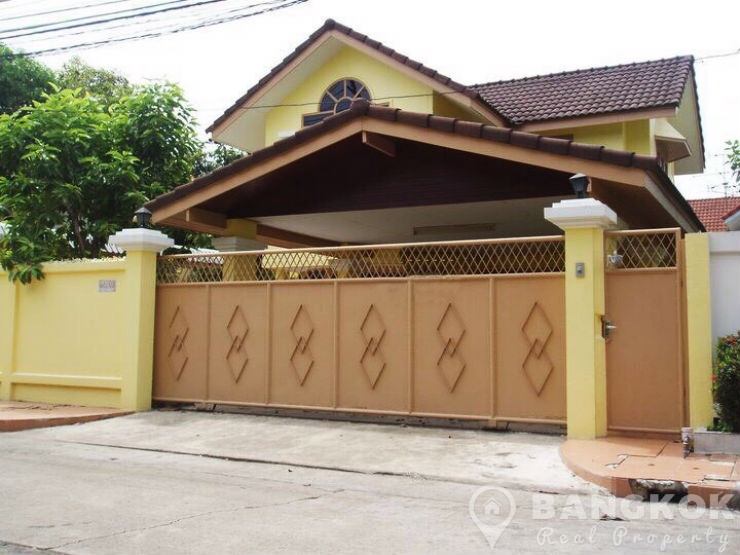 This Sammakorn house is situated in a quiet, leafy, residential soi close near the famous Ruenros Thai Restaurant. 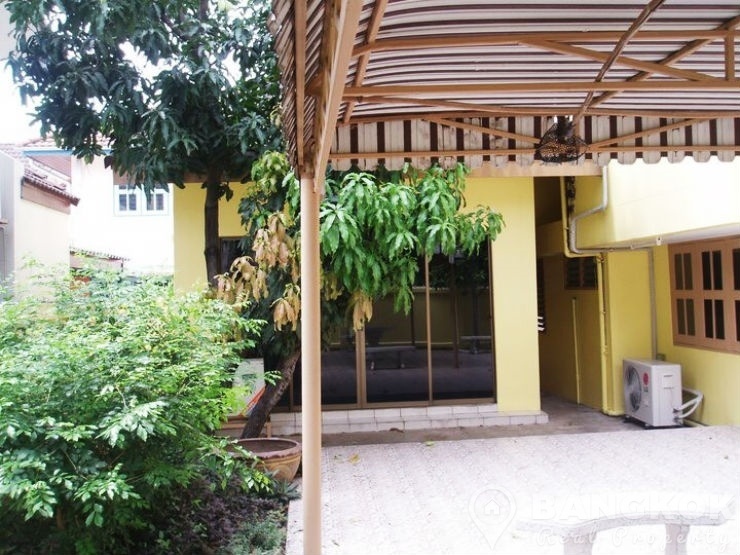 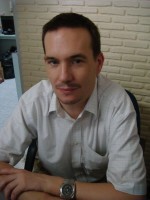 The house is detached with 2 floors on a plot of 75 sq.wah with 110 sq.m of living space. 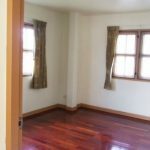 There is a open plan livingroom – dining room with hardwood floors. 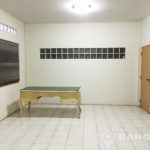 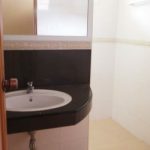 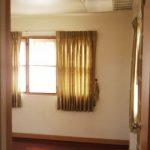 There is a separate kitchen with kitchen cabinets and a fridge-freezer and washing machine, 1 maids room and a separate room for use as an office or guest room. 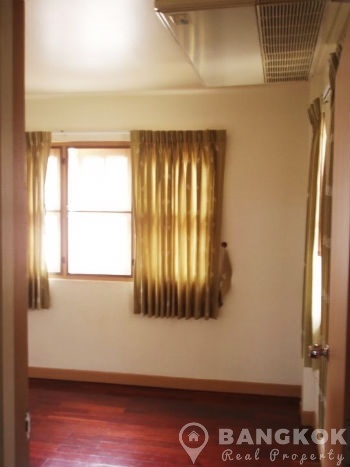 The house is partly furnished and comes filly air conditioned through out. 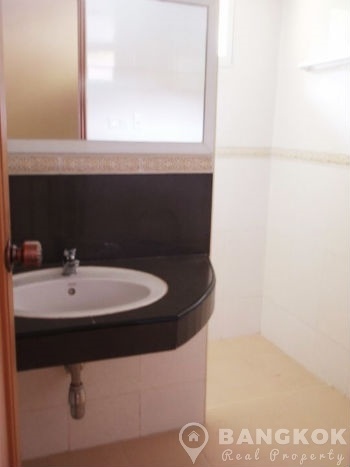 The master bedroom has an ensuite bathroom and there are 2 further double bedrooms with a family bathroom. 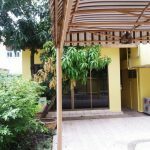 Outside is a large paved patio style garden with mature shrubs and trees including several Mango and Banana Trees. 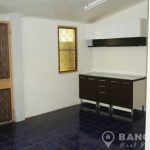 There is off street parking for 2 – 3 cars.